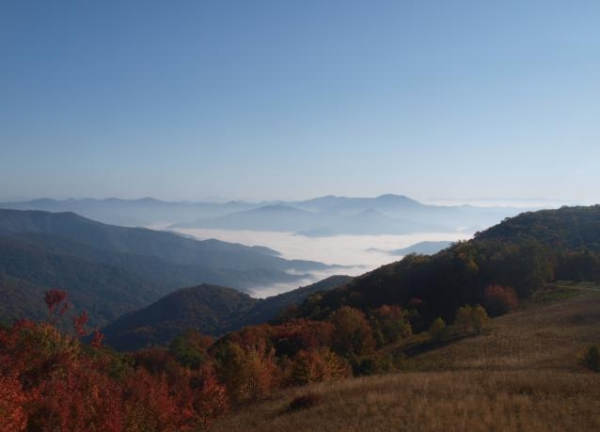 Not a cloud in the sky can been be seen on top of Purchase Knob near Maggie Valley this morning. This has pretty much been the theme all week across the High Country. Fall colors are also beginning to become more apparent. You just gotta love this weather!